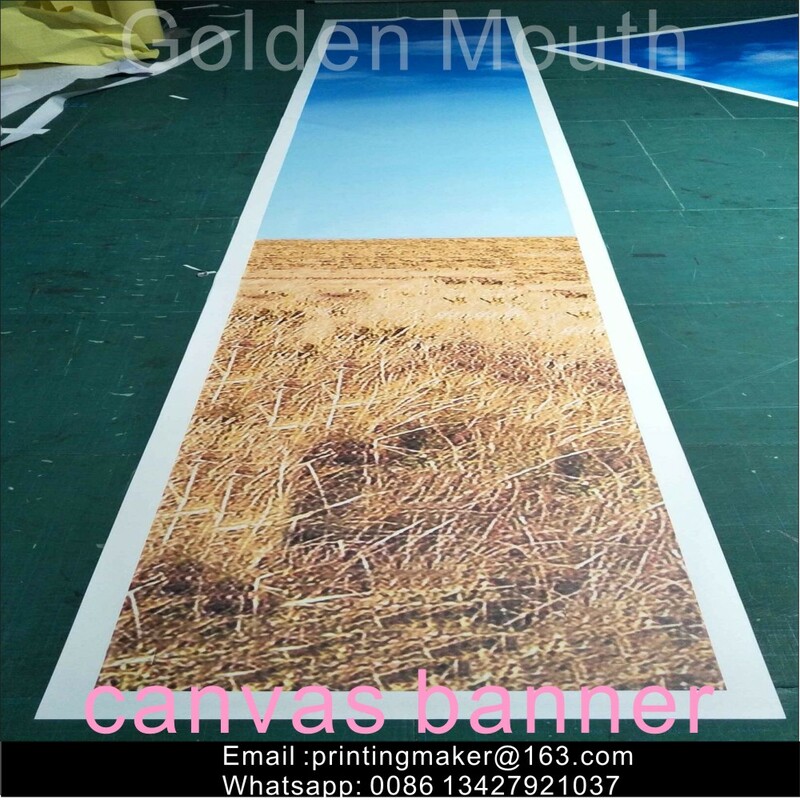 Product categories of Canvas Banner, we are specialized manufacturers from China, Canvas Banners, Double Sided Printing Banners suppliers/factory, wholesale high-quality products of Cotton Canvas R & D and manufacturing, we have the perfect after-sales service and technical support. Look forward to your cooperation! We have Synthetic Canvas Banners and Cotton Canvas Banners ( this material color is yellowish and thicker than synthetic canvas banners . Most customers prefer synthetic canvas banners . All of them can be printed with inkjet printing and uv printing .The width seamless is 320 cm ( 10.5 feet ) . Our canvas banners are mostly used as hanging decoration banners and wall frame banners (we also can provide the frame ) . This material has a soft natural look as compared to the gloss of vinyl materials. Canvas banners are not as vivid as their vinyl counter parts since the ink absorbs into the canvas. Canvas is great for indoor uses such as banks, car dealerships, hotels, and anywhere that a classic look is desired. We only print 1 sided on canvas material , If 2 sided banners are needed, we print 2 and sew the banners back to back .